Upon meeting the brothers, strange things begin to happen. When she accidentally kills one of the brothers, it throws her life into turmoil, as they search to find the answers. 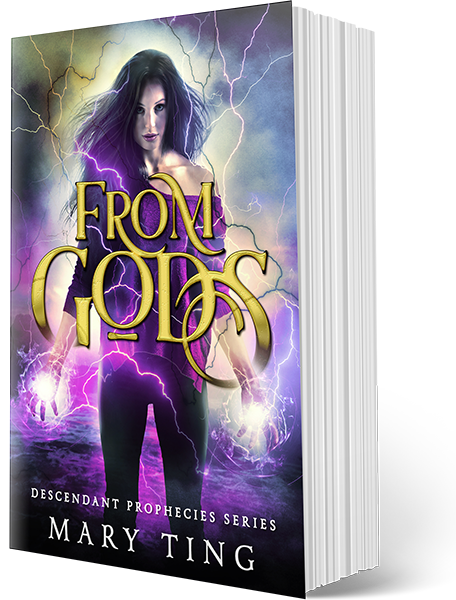 Implausibly, she gets caught up in a world of the descendants of ancient gods, all who have super powers. Not only is her discovery difficult to accept, evil beings are after her. Running out of time and running for her life, she must unravel a mystery. What do they want from her? Forced into a battle set into motion long before she was born, will she find the answers, or will she die trying?